Why It Matters: Previously, Intel shared plans to integrate Thunderbolt 3 into future Intel CPUs and to release the Thunderbolt protocol specification to the industry. As detailed at CES 2019, Intel’s upcoming 10nm processor code-named “Ice Lake” will be the first to integrate Thunderbolt 3. Processor integration, combined with today’s announcement, is expected to drive large-scale, mainstream adoption of Thunderbolt. Industry adoption of Thunderbolt 3 is accelerating. 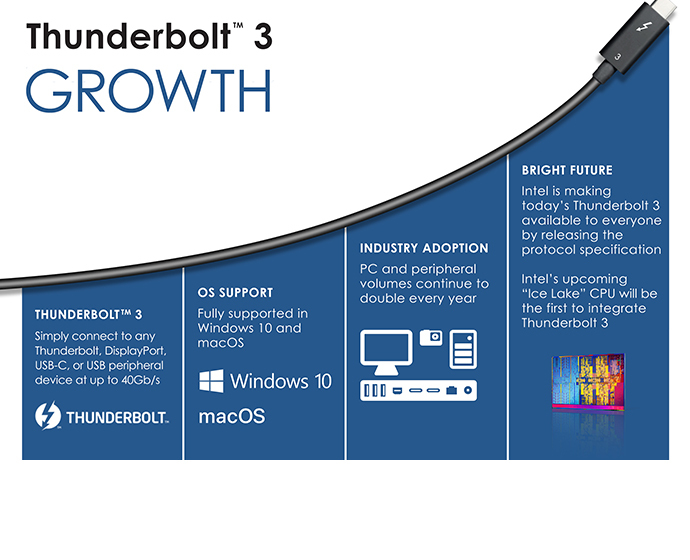 Thunderbolt 3 is fully supported in Windows 10*, macOS* and Linux*; volumes of PCs with these ports continue to double every year into the tens of millions; and all the latest Macs* have Thunderbolt 3 ports. 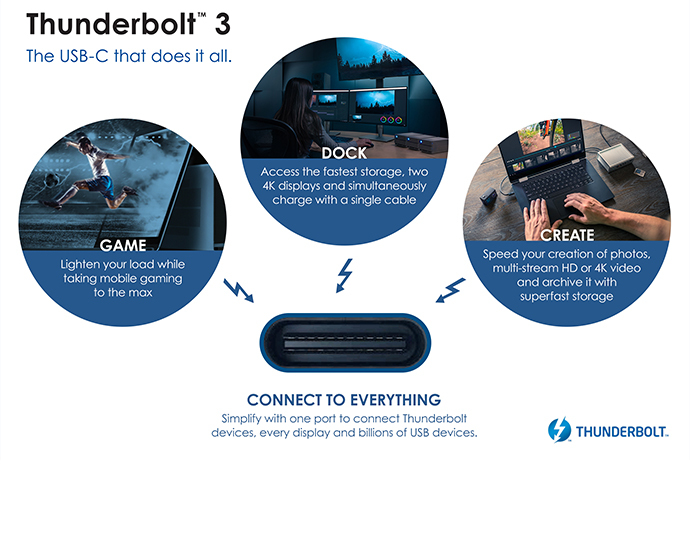 More than 400 PC designs have been enabled with Thunderbolt 3. Peripheral device volumes also continue to double annually with more than 450 certified devices from a wide number of product categories, including docks, displays, storage and external graphics. 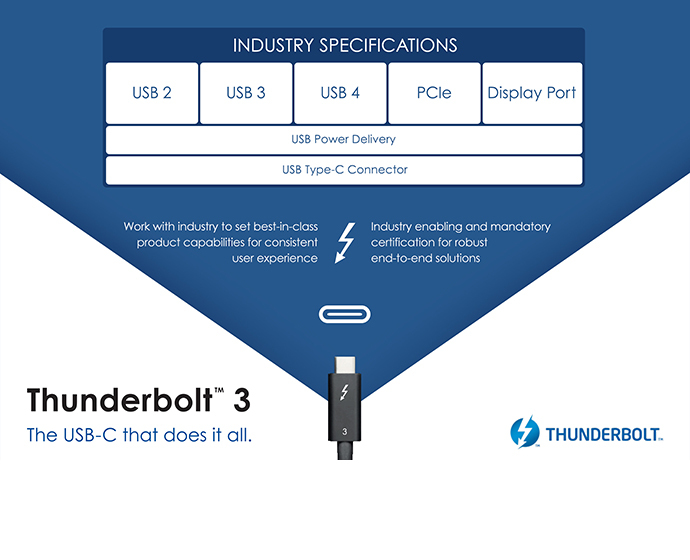 Intel and other industry leaders continue to innovate on Thunderbolt technology to deliver a leading connectivity solution, from silicon and cables to PCs and peripheral devices.